SeeMyENC allows users to zoom, pan within a chart, select different symbology & colours, select pick reports and analyse the ENC data by evaluating the logfile generated during the chart import process. Note: SeeMyENC cannot be used with protected (e.g. S-63) ENCs. SeeMyENC can be operated under Windows 7/8 (32bit/64bit). SeeMyENC is unwarranted and unsupported. Please use the product selector if you want to view S-57 products other than ENCs. Click here to register for downloading SeeMyENC setup. 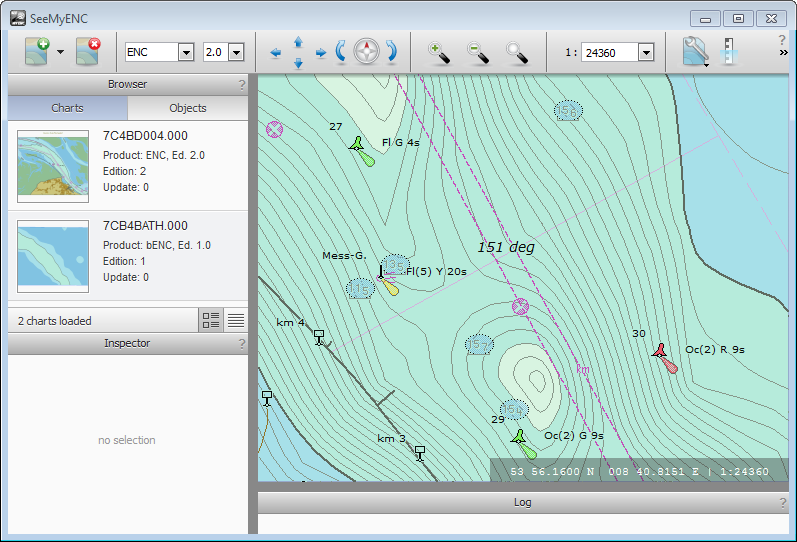 Bathymetric data contained in ENCs is normally abstracted and summarised for general navigation. 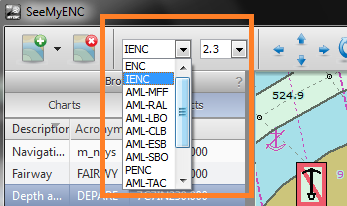 Where more detailed information is needed, SevenCs ENC Tools can be used to create so-called bathymetric ENCs (bENCs) from most common formats of digital bathymetry. The result is an S-57 data product that can be either displayed on its own or in conjunction with a normal ENC. Typical applications include dredging and piloting. A sample bENC is included with SeeMyENC in the /data/examples/ directory. In February 2010 the UKHO issued a NAVWARNING (Number: 037/10 Type: NAVAREA) regarding the detection of shoal depths encoded in ENCs using the EXPSOU attribute with the value 2 (i.e. shoaler than the range of depth of the surrounding depth area). SevenCs created the ENC Sounding Checker for data producers to batch check their ENCs for this issue. - imported into SevenCs ENC Designer software. ENC Sounding Checker is free of charge. Click here to download your copy.